The Mermaid Avenue project successfully brought Woody Guthrie’s songs into a late-twentieth century context, much as earlier revivals had introduced Guthrie’s music to the Sixties. The albums that Billy Bragg and Wilco recorded of Guthrie’s unpublished lyrics were described as “equal parts tribute and collaboration” (to quote the Amazon UK description of the first album). While the benefits of bringing Guthrie’s music to a new audience through new interpretations of his work are great, they also bring the danger of obscuring or divorcing the writer from his time and place. The Mermaid Avenue collaboration involved a dead man from a different time, and this paper seeks to ground Guthrie’s ballads about the Dust Bowl in the context of the 1930s. I will focus on how Guthrie’s lyrics reveal a perspective towards land, water, and capital that reflects widespread sentiments about natural resources and economic development during the Depression. Guthrie’s concerns over the productivity of the land and its economic implications for agricultural workers, in ways which could be interpreted as either socialist or capitalist within a social welfare state, yet are clearly grounded in an ethic of resource use. In many ways these sentiments run counter to modern environmentalist attitudes that are evident in the songs of more recent artists ranging from Joni Mitchell, Marvin Gaye, and Randy Newman to Earth Crisis, Silkworm, and Billy Bragg. While varying stylistically, the more recent works all question the consequences of technological progress and exploitation of resources in ways Guthrie did not; the comparison reflects how American environmental concerns changed before and after World War II. 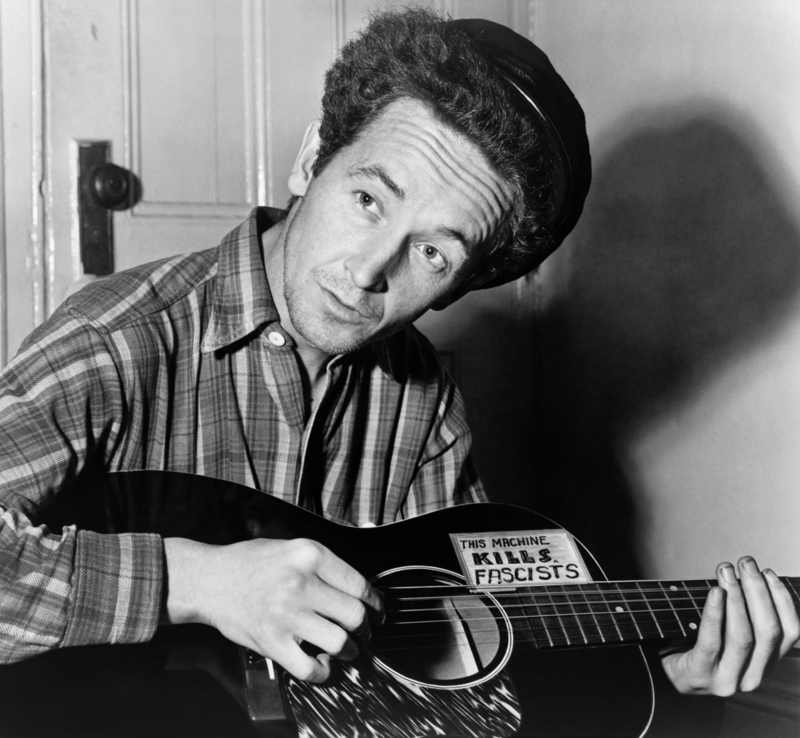 We could guess that a Woody Guthrie who had read Silent Spring in 1962 or had seen the cancer-stricken children in the working-class community of Love Canal, New York in 1978 would have found fault in what industrialized America had done to nature and developed protest songs against environmental degradation. The prospect of Woody Guthrie singing and laying down on the highway at the 1982 Warren County, North Carolina protests against placing a toxic waste dump in a poor African-American community certainly would be consistent with his pleas for social justice during the Depression. Maybe he would have second thoughts about dams, once their destructive effects became clear. These are all plausible guesses, but they are only guesses because Guthrie neither lives nor breathes. What we know is, that by the man’s own words and experiences, Guthrie was an ardent conservationist concerned with tapping the natural resources of the United States to benefit mankind. This does not make him somehow morally deficient when compared to the songwriters who follow him; conservation in 1941 was consistent with Guthrie’s passion for social justice, economic opportunity, and hope. The followup audience discussion covered topics ranging from the differences between Woody Guthrie and Neil Young and how Guthrie treated Native Americans in his music. As he did with so many subjects, Woody Guthrie left a lot to think about in terms of how humans relate to their environments, and I was glad to ponder some of his work for this paper. This entry was posted in history on July 14, 2012 by Carl Zimring.